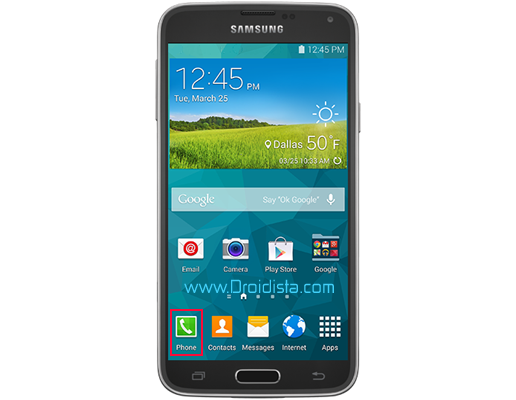 When you're on a call, you can adjust the call volume using the dedicated Volume keys on the side of the Galaxy S5. Tap to increase the volume level. If you're still not satisfied with the quality of the sound, tap More options . Choose Settings and then Noise Reduction to turn the feature off. Tap the Phone icon . Touch More options and select Settings. Choose Call, then Personalize call sound. You now have four options to choose from: Adapt Sound, Soft Sound, Clear Sound, and Off. If you select Adapt Sound, the device will guide you through customizing an optimal call sound. Before starting, we recommend you close all multimedia applications, be in a quiet environment, and have a compatible earphone connected. The device will play a beep; touch Yes if you hear the sound. If you cannot hear the sound, touch No. Once completed, touch Done to save your personalized call sound.